A three-judge appeals court heard oral arguments Wednesday on a lawsuit over the DNR's planning for last year's wolf hunt. Two groups -- Howling for Wolves and the Center for Biological Diversity -- argue the agency did not follow procedures required in law as it organized the first-ever regulated wolf hunt. During the court hearing, the DNR said it received clear direction from the Legislature that it should organize a wolf hunt last fall. But the agency didn't have a lot of time to prepare. So instead of publishing a proposed rule, holding public meetings and inviting written comments, the DNR posted an online survey to gauge public opinion about such questions as how long the season should last and how hunters and trappers should be notified when the target was reached. More than 7,000 people responded to the survey, many of them from outside Minnesota. Nearly 80 percent of respondents said they didn't want to see a wolf hunt at all. The DNR maintains opponents of a wolf hunt conducted a campaign to skew the results. At the hearing, the judges asked tough questions about whether the plaintiffs were actually harmed by the way the DNR took public comment. Their emphasis on this aspect of the case may indicate they have doubts about whether the groups have "standing" to sue. The attorney for the two groups, Collette Adkins Giese, said if the judges decide their members shouldn't be permitted to sue the DNR, the basic question of whether the agency followed the law will not be answered. "We've got members who live up in wolf country, that view wolves regularly, care about how wolves are managed, and if we don't have standing to sue, I don't know who would," she said. Assistant Attorney General David Iverson represented the DNR. He told the judges that no person who opposed the hunt should have standing to challenge the methods of organizing it. An attorney for Safari International made the same argument. That organization entered the case as a friend of the court on the side of the state. Anna Seidman, director of litigation for Safari Club International, said the plaintiffs were only speculating about their losses; she said only if the rules harmed the overall wolf population should they be allowed to sue. The DNR is concerned about the larger implications of the case. A ruling in favor of the plaintiffs could raise serious questions about how the agency conducts other hunting seasons. 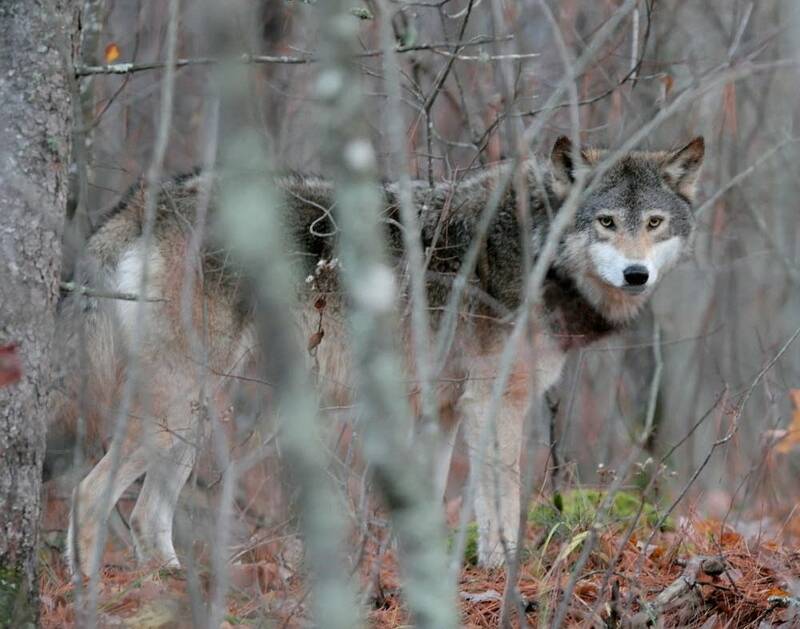 The DNR followed the same rules for the wolf season as it follows in setting all its hunting and fishing seasons, according to agency spokesman Chris Niskanen. "So if they win this case, we're going to have to take a step back and may need to involve the Legislature in reexamining the rulemaking process," he said. Niskanen added there was plenty of opportunity for public comment during the legislative hearings that led to the season. The court is expected to rule in 60 to 90 days.